Tuesday, New York officials came to an agreement on a new tax code for the state. The new regulations will see taxes go up for the rich and go down just a bit for the middle class. 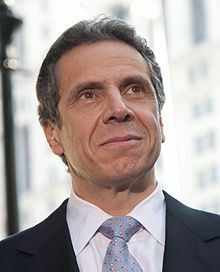 The one change alone will get the state of New York an increase of $1.9 billion for the 2012 year. The plan now moves to the New York state Legislature for approval. Governor Andrew Cuomo was proud to announce the great bipartisan support in his state in their efforts to bring in new jobs and improve the economy. The move should be a model for the rest of the nation in terms of how to go about taxes. Cuomo kept the tax increase on those who have an income of two hundred thousand dollars or more. That tax has been extended by three years. With the increase in tax revenue, more money will be pumped back into public programs such as health care and education. New York got the idea right by realizing for the economy to improve, taxes on the rich needed to go up and needed to go down for the struggling middle class. The plan will hopefully be adapted to federal taxes shortly.